Fireworks display during the International fleet Review. During the International Fleet Review, a gathering of more than 50 foreign and local ships both modern and tall ships for the commemoration of the first entry of the Royal Australian Navy’s Fleet in Sydney, a spectacular display of vibrant and glittering fireworks was held last Saturday at the Sydney Harbour. This event which featured our gallant navy men in uniforms, both local and from overseas, with their massive fleets was a one-off event that catapulted once more the festive environment of the people of Sydney. It was rare but fitting opportunity for all navy men and their fleets to come together, not for staging a war, but as remembrance of a historic event. Once again, the iconic landmarks of the Sydney Harbour Bridge and the Sydney Opera House were the backdrop of this outstanding colourful occasion. Annual events such as the Sydney Vivid Lights and other festivals have made both hallmarks for a grand celebration of activities. 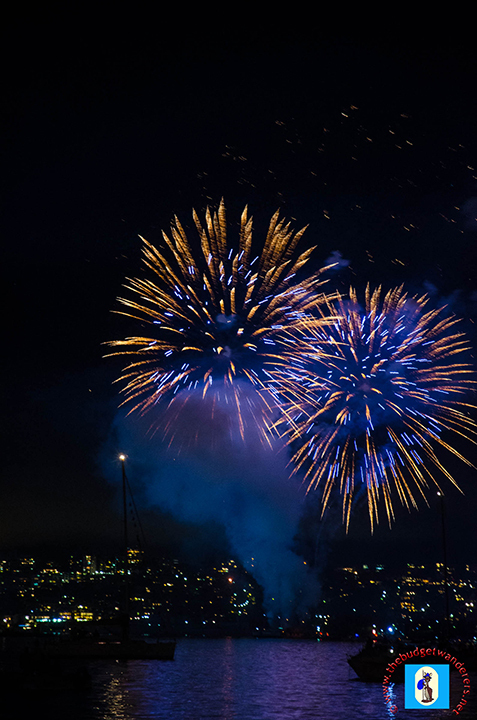 The BudgetWanderers went to Rushcutters Bay in Edgecliff (one of the vantage points of the fireworks display) to witness the glamorous shower of colourful lights that lit the pitch-black skies of the evening. 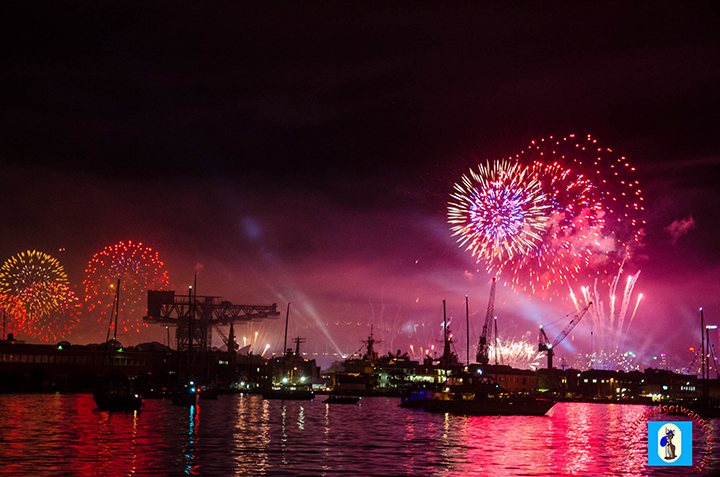 The whole Sydney Harbour was transformed to magnificent burst of various colours and lights, which most of them were from the fleets that joined the festivities. Some of our photos of the event are the following. We do hope that you will enjoy them as much as we do. nice shots ! I wanted to get down myself, but it was just too hard to organise, and I had too much else to do, with my move to Bangkok. At least I did manage to get down and see the tall ships sail out, and got a few photos then for my blog. My niece had a great view of these fireworks on her last night in Sydney. So kind of the Australians to give her such a special farewell!! Brilliant photos of the fireworks, and to think – you were there. We had to content ourselves with viewing the spectacle on TV but it was just wonderful, any way in which one experienced it. Enjoy many more happy wanderings.